I posted The Best blogs for sharing resource links 2007 two years ago, and thought it was time for an update. I’d like to share a list of education blogs that I think are great at sharing helpful resources and links. In order to be on this list, they also need to post at least once each week, though most that are here post far more often. Unlike many of my other lists, though, I haven’t listed them in any order of priority. I’d encourage everyone to subscribe and put them all on their blogroll, as I have. Of course, I learn a lot from reading many other blogs, too. I just thought, given my blog’s focus, highlighting these would be appropriate. You can see links to other great blogs on my sidebar. 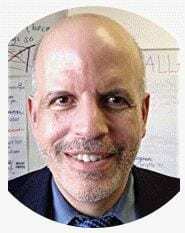 Paul Hamilton shares very thoughtful posts in “Free Resources From The Net For (Special) Education.” All his posts, though, are also certainly useful to English Language Learners and to others. Jane’s E-Learning Pick of the Day is always helpful. I’m looking forward to her updating TheTop 100 Tools For Learning in 2010. Instructify is a prolific group blog out of the University of North Carolina. Silvia Tolisano at Langwitches has a knack for discovering Internet gems helpful to all learners. Phyllis Anker has been posting for a long time about great links in her blog Phyllis’ Favorites. Kevin Jarrett’s Welcome To NCS-Tech was the other blog that inspired me to start writing my own. Kevin provides great daily tips. Nik Peachey’s Learning Technology Blog provides very explicit descriptions of resources and how to use them. Free Technology For Teachers is written by Richard Byrne and has been a winner of several Edublogs Awards. They are well-deserved honors for all the time and energy he puts in finding and sharing gems with the rest of us. 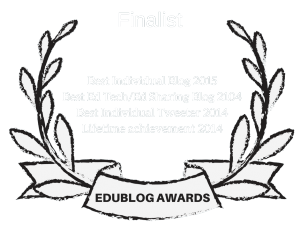 Jeffrey Hill’s The English Blog was also a very worthy Edublogs Awards winner. Kelly Tenkely’s blog, iLearnTechnology, provides resources and great ideas on how to use them. Explore The Possibilities is a blog written by Donna Murray, an Instructional Technology Specialist at the Hickory Public Schools. She finds, and shares, a lot of great resources. Think And Dream In English is an impressive blog written by Pilar, an EFL teacher (also known as “English Teach”). It has a wealth of resources for both students and teachers, and new posts appear often. John Norton, who, for years (since 1996!) been sharing resources on the MiddleWeb website, started a blog a few months ago. The resources he’s shared over the years have been invaluable to me and many other educators. Even though he focuses on the middle grades, the materials are useful for K-12. Angela Maiers writes a lot of excellent stuff on her blog, but she’s on this list because of her weekly Chalk Talk Friday feature where she shares great resources she finds around the blogosphere. Mrs. Smoke teaches in Kansas, and creates her own great “Best” lists on her blog Making Teachers Nerdy. David Kapuler has a blog called Technology Tidbits that regularly shares excellent education resources. Jen Farr has a nice blog where she shares her Farr-Out Links To Learning. Shelly Terrell regularly shares excellent resources at Teacher Reboot Camp. Tech The Plunge is an excellent blog from Jeff Thomas. Let me know if you have other suggestions. Larry – thanks, once again, for including me – and for several new and awesome blogs to follow! Happy Holidays! As always, thank you for the great plug. I also learned about some new blogs that I wasn’t following but will start following. Thank you for including my blog, Larry! Most of the other blogs are on my Google reader and are wonderful resources including yours! I have also added the others! Thanks again! Larry, thank you for including iLearn Technology in your list. I am humbled to be included among such amazing blogs! You introduced me to some new follows as well. Thanks! I am going to be back to read more from here. Excellent job. I have a lot of special education resources for teachers at http://www.squidoo.com/special_education I hope you have a chance to check it out. I would also like to add your blog to my list of teacher resources there. Please let me know if that is ok.
Larry, thanks for mentioning Instructify! We appreciate it. I’m honored that you included me on your list of resource sharing blogs. Thanks! Great post, Larry! I really enjoy your blog and found this post especially helpful. Thanks for putting it together.